When It Comes to Cloud-Based Print MIS Solutions, Is the Risk Worth the Reward? If you are a commercial printer, then you know how important it is to find new solutions that help you be more efficient, so that you can be productive for your customers. With drupa 2016 in the rear-view mirror, more printers will be looking towards cloud-based solutions for their print shops. At the beginning of the year, Avanti’s Director of Marketing Joanne Gore expressed, “now more than ever the future is wrapped in the Cloud…Companies who have not moved forward and invested in this technology will quickly lag (read article). Likewise, a study conducted by Greg Cholmondeley from PODi in late 2015 revealed that, “about 90% of commercial printing operations and 40% of in-plants are open to using cloud-based solutions” (see his article here). Disaster Recovery: Xerox Workflow Business Manager Eric Thibodeau pointed out in a GraphExpo panel discussion last year that, “cloud services, by definition, provide disaster recovery services…that’s because data is not only backed up, it’s backed up offsite, an expensive proposition to replace independently” (read more here or check out the video discussion from the Printerverse). 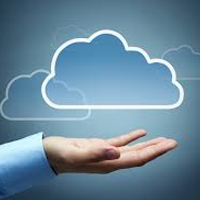 Deploying your print MIS on a cloud server can be a key part of your Business Continuity plan. Flexibility: No matter what the size of your print shop, deploying a print MIS in the cloud will allow your organization more flexibility in multiple aspects. For example, do you want to grow your business? Need more storage, a new module, or more users in the future? There’s nothing worse than having to hold back the growth of your business waiting on your infrastructure or IT staffing to catch up. With a cloud-based Print MIS, you can scale your solution as fast as you can scale your business. Easy Upgrades: Growing companies need a solution that can keep them competitive without being slowed down by all the planning and effort required to upgrade. By deploying your print MIS in the cloud, you have the opportunity to embrace new software updates without slowing down your production or spending oodles of time and money engaging your IT department to do so. Leveraging cloud deployment means upgrades are automatic so you always have the competitive edge and can stay focused on your business instead of planning upgrades. Access: With a cloud deployment, you can simultaneously solve the difficult problem of being both highly accessible and highly secure. When you are on a cloud-based Print MIS platform, you can stay up-to-date and knowledgeable about all the happenings in your print shop without actually being there. That means your remote workers and sales team can get real-time access information on job cost/tracking, job profitability, invoicing, scheduling, shipping and change order information. Cost control: A cloud deployment could be the lowest cost deployment method available to your company. Leveraging your software provider’s hosting offering is a predictable monthly recurring charge that covers your server, operating system, database, back-ups, patch management as well as license fees to third parties like Microsoft. If you decide to run your Print MIS on premise, those capital costs all become yours. With that in mind, leveraging the cloud can actually be a lower cost deployment method.